Monday’s big storm is on its way here. Rain and snow has started falling in places around the northwestern US, although the core of the storm remains offshore. Unfortunately for us up in northern Utah, the timing works out just so that we’ll miss the total lunar eclipse. 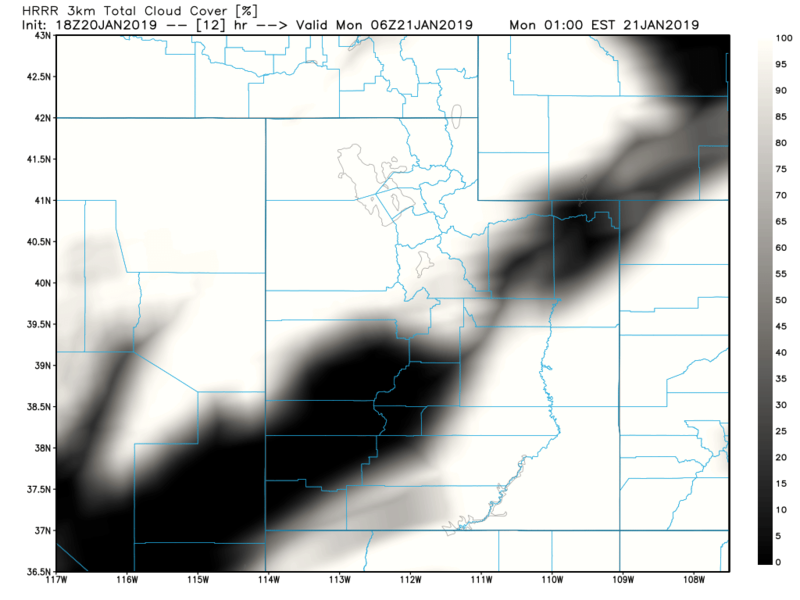 There most likely will be an area of clearing between Fillmore and Cedar City, but at midnight in northern Utah the first flakes will be falling. The next one that Utah will see will be in May of 2021, and hopefully we’ll have better luck with clouds then. If we have to miss the eclipse, at least we’re getting a good storm out of it! First flakes will hit far northern Utah around 10 PM, and the snow will slowly spread southwards during the night. Unlike the last storm, the air will be cold enough to support snow down to valley floors for most of the time. That’s good news for the mountains because snow ratios should consistently be between 1:15 to 1:20, especially after dawn. Current northwestern US radar loop. Just a few more hours until it reaches us! Via NWS. This is a storm that’s going to be with us for a while too. Snow should reach the Cottonwoods by 3 AM, and it won’t leave until close to sundown. That’s also going to make holiday travel a nightmare. 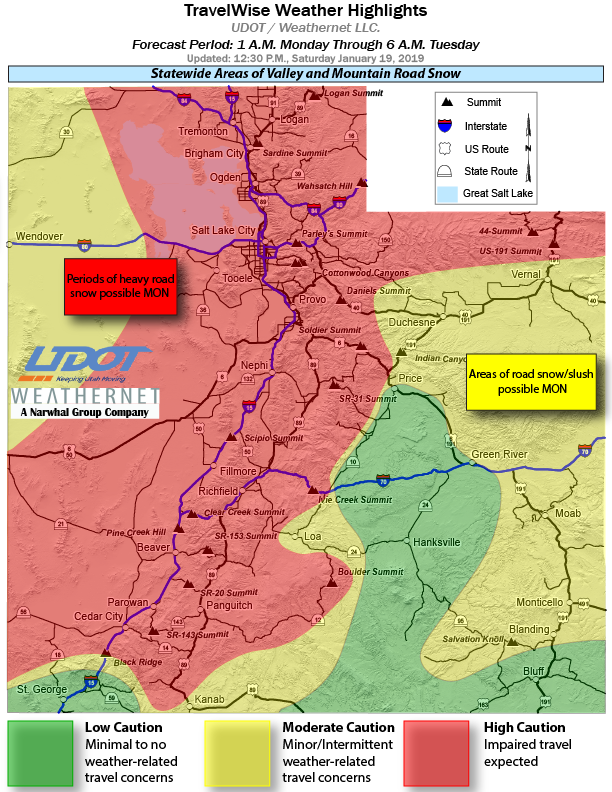 Be sure to watch UDOT for delays and information regarding canyon safety. Snowfall rates are likely to be most intense first thing in the morning, but the snow will last all day long. The last several hours of the storm will be orographic showers where the moist, northwesterly flow reaches the mountains. These showers usually produce perfect powder, but it can be a bit chancy as to where they form and how long they last. Right now it looks like the high Cottonwoods will have persistent powder showers all afternoon, however. After this storm moves out, it’ll be cold and dry for several days until a weak storm on Thursday.